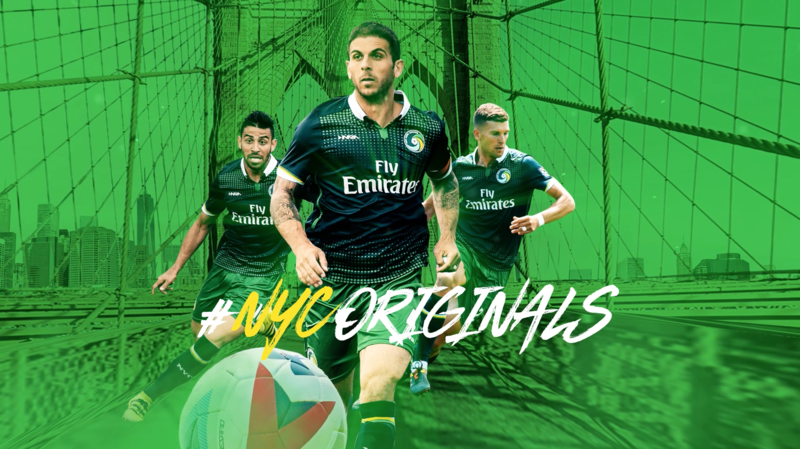 We’ve been busy with a range of promotions for the NY Cosmos, here’s a look at the TV spot we created that brings the “NYC Originals,” the NY Cosmos soccer team, to the streets of their new home in Brooklyn. We created a unique motion graphics spot where still photos of the players are animated in slow motion action against photos of the streets and iconic locations around Brooklyn, which are given depth by projecting the images as 3D environments. The music builds tension and excitement, while sound samples of the actual commentators and fast-cut footage of the players in action convey all the excitement of the game. Variations of this TV spot with different players and messaging have been used, this spot promotes the match on July 4th with fireworks after the game.